In today’s world, achieving success as a dental professional requires you to compliment your outstanding clinical skills with leadership behaviours. Think for a moment about the impact leaders have on the people who follow them. Who do you know whose actions you would like to influence? Or is there someone from the dental profession who has the ‘knack’ for leadership you wish you could emulate? you can be a leader for your wider dental community. With regards to your team, you will want to foster a strong spirit of collaboration and sense of shared purpose. 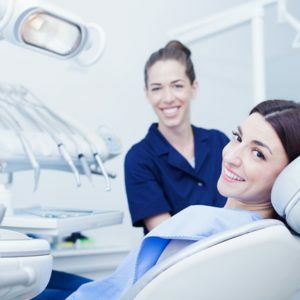 You will certainly want to influence your patients to come back for repeat appointments and recommend your practice to their friends, as well as improving their ‘compliance’ with treatment recommendations. For some patients you will need motivational leadership skills just to get them brushing and flossing correctly, while for others you may need to get their buy-in for necessary treatment plans. Being conscious about continuously improving your leadership skills can help you with all these challenges. The ‘Inspirational Leadership’ model was created to provide a framework for maximizing your leadership skills. It is the result of listening to numerous leaders over the past twenty years talking passionately about their experience of leadership in various contexts and it is supported by thorough research in the field of personal development. This article is a result of my continuing collaboration with Colgate on leadership in dentistry. In it, I explore how the seven elements of the model can be actively applied on a daily basis in your leadership role in the dental practice. Just remember this key fact. Only you can make the choice to lead, it doesn’t just happen. The best leaders make a conscious choice every day to ‘step into’ the leadership mind-set – they are conscious of the impact they have on those around them and take responsibility for it. They do not wait for someone else to show them the way, no matter what their role is. Once you have done this, you need to execute, or more importantly, have others execute for you. The ‘Inspirational Leadership’ model is copyright © of Expression for Growth 2015 and may not be used without prior written permission. Visit www.expressionforgrowth.com for more information.